The paid download includes over 80 new missions for kids to complete. Splatoon 2 is Nintendo’s colorful kid-friendly shooter, starring characters called Inklings that can transform from kid to squid and back again as they explore environments and take down baddies. (It's also one of the best kids games on the Switch.) The game features both singleplayer and multiplayer content, but if your kids are looking for new things to do, a new expansion will keep them busy for a while. The Octo Expansion features a new singleplayer storyline with over 80 missions to complete. It will also let kids and teens play as an Octoling for the first time. These characters are like Inklings, but they take the form of an octopus, rather than a squid. If players complete the whole story in the Octo Expansion, they’ll unlock the ability to play as Octolings in Splatoon 2’s multiplayer battles. In addition, players can complete a set of extra challenges to unlock more than 10 pieces of new in-game gear. 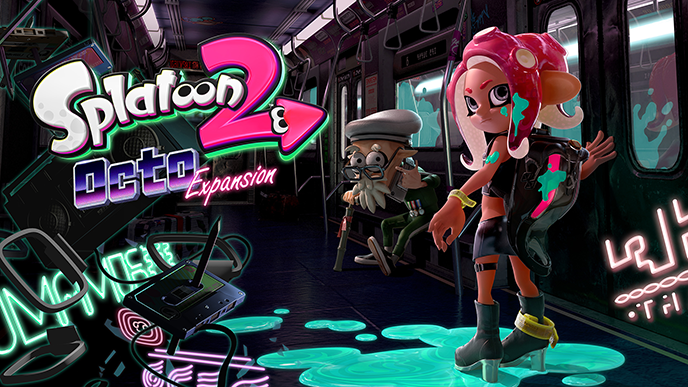 The Octo Expansion will launch on Nintendo Switch in the U.S. on the evening of June 13 for $19.99. Additional free updates will be released for Splatoon 2 -- containing updates to in-game gear, weapons, and stages -- until the end of 2018. Later this year, Nintendo will launch a three-pack of Octoling amiibo, containing an Octoling girl, an Octoling boy, and an Octoling octopus. These figures can be activated when playing Splatoon 2 (and other supported games) to trigger a special reaction in the game.